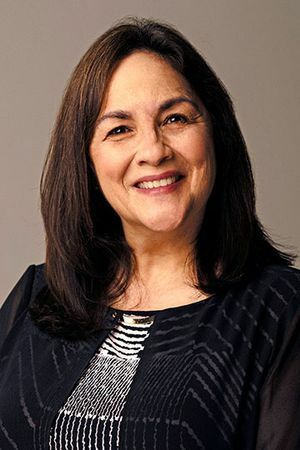 Marjorie Herrera Lewis, an accomplished sports writer and novelist, recently published her historical novel When the Men Were Gone, set in WWII and chronicling the first female football coach in the state of Texas, Tylene Wilson! Based on a true story, When the Men Were Gone is a powerful and vibrant novel of perseverance and personal courage under severe oppression. Marjorie generously donated every cent of her per-book royalties (about $1/book) for books sold between January 14-20 to the Rotary Literacy Program, raising $500 for the Rotary Literacy Program. A BIG THANK YOU to Marjorie for her generosity AND for her wonderful book. 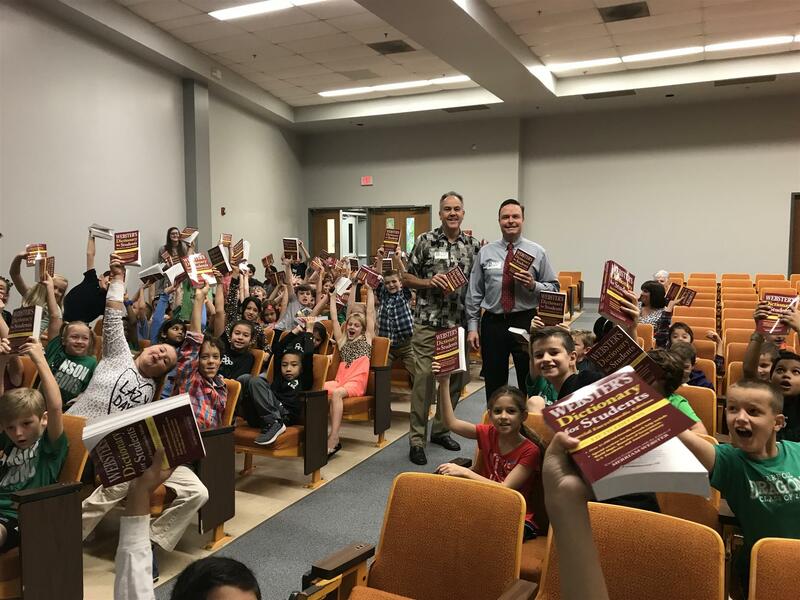 You can order the book online here: https://www.barnesandnoble.com/w/when-the-men-w…/1127273390… #wearerotary. 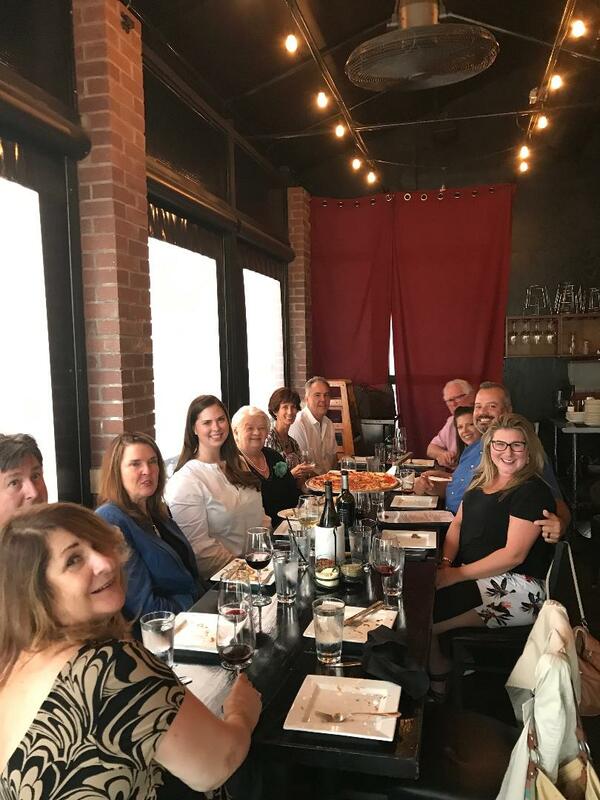 Marjorie exemplifies the values of Rotary, including service above self, fellowship, leadership, and the passion for diversity and understanding. She has shared her gift of writing, her thinking, her time, and her awesome talent to our club and in support of our community and world. Marjorie also exemplifies a Member who selflessly DOES for the Club with no intent for accolades or recognition. Marjorie has a lifelong passion for sports. She wrote for many newspapers, including the Fort Worth Star Telegram and the Dallas Morning News. She even becoming a beat writer for the Dallas Cowboys at age 29. Throughout her career, Marjorie covered college and professional sports, including the Texas Rangers and Dallas Mavericks, as well as tennis and golf. She also covered the Super Bowl, Wimbledon, the NCAA men's basketball tournament, and several college bowl games. While writing When the Men Were Gone, Marjorie even tried her hand at coaching football and was added to the Texas Wesleyan University football coaching staff!!!! She presently teaches media ethics as a university professor at the University of North Texas. Marjorie has received numerous reviews lauding her book including in Sports Illustrated and the D Magazine. There is already a contract for the movie rights!!!! We give a big SHOUT OUT to Marge and her well-deserved success in this endeavor!!! 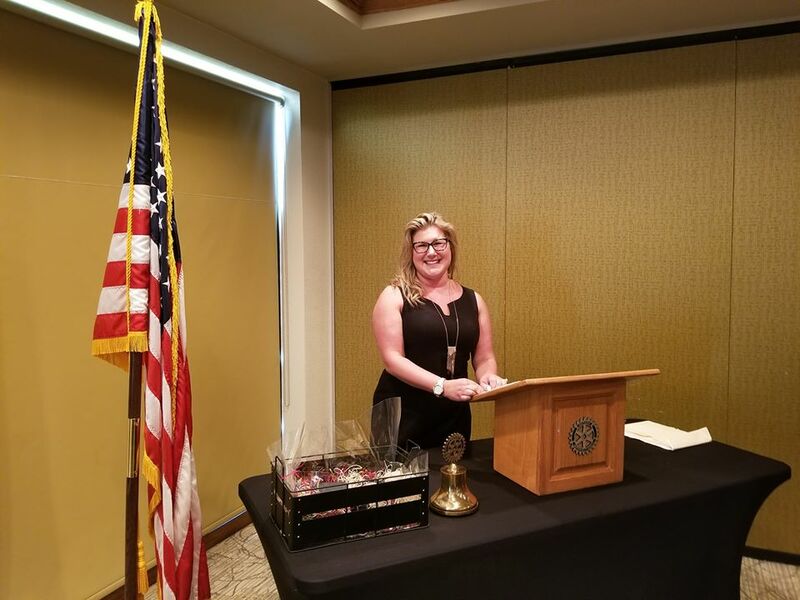 Please join us in congratulating Marjorie on her recognition as our “Rotarian Connects the World” Advocate for the 2nd Quarter of 2019. 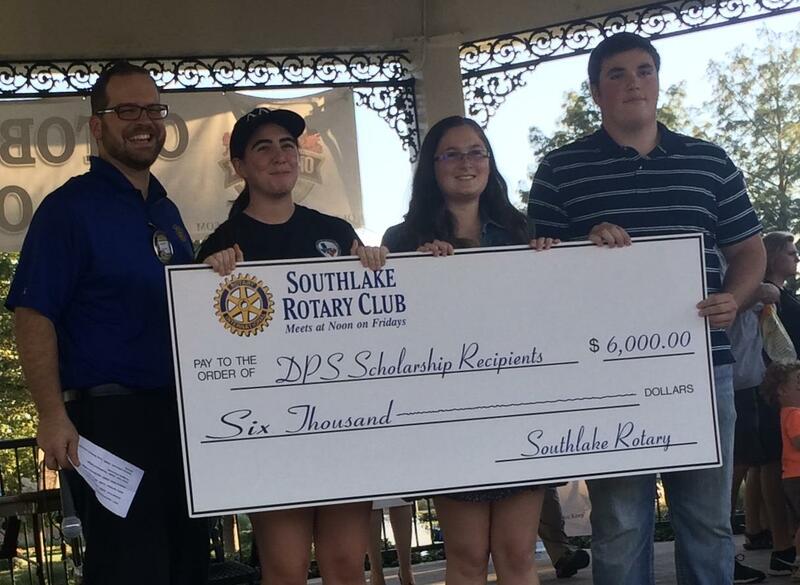 Steve Longo: "What Every Parent of a College Student Should Know"
Southlake Rotarians Work to Keep Southlake Beautiful!!! Rebekah Mitchell, founder of M.E.N.D. Lyndy Phillips: "Laugh More, Stress Less"
Dr. Steven Sanders, M.D. 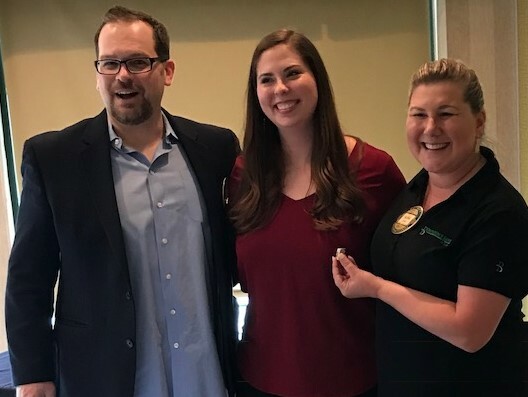 "Conquering Your Joint Pain"
Dr. Steven Sanders: "Conquering Your Joint Pain"
Tonja Wells - "What Your Body is Telling You"
ROTARIAN MARJORIE LEWIS DONATES BOOK ROYALTIES TO LITERACY PROGRAM! I just wanted to update you on the past two weeks. I had a great time attending the Rotary District Conference the previous weekend! District 1130 brought in some great speakers and chose a great location by the ocean. I had fantastic time meeting all the Rotarians based in London and interacting with the other Rotary Scholars at the conference. Unfortunately I did not meet anyone from the Hammersmith Club. 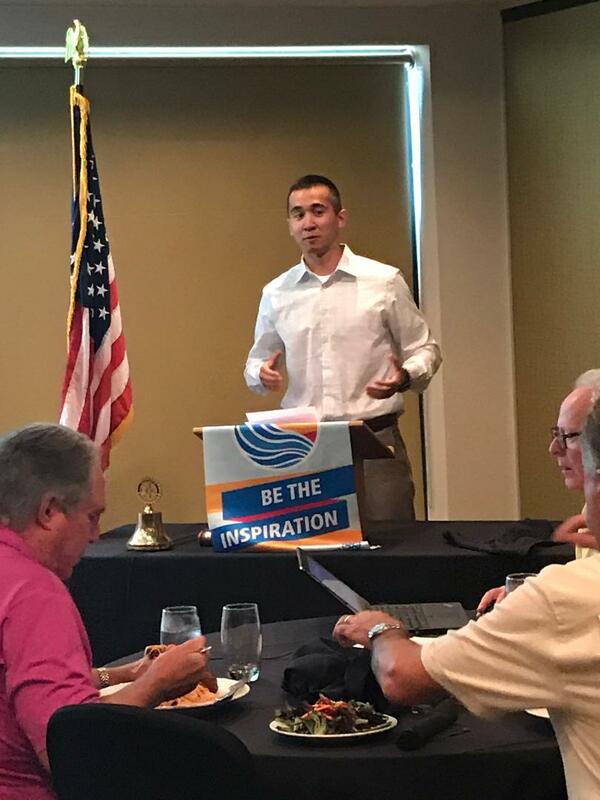 Nevertheless, I was able to secure a chance to present to the Enfield Rotary Club in November! I have also enjoyed the chance to meet Rotarians at my host club. Stella Russell took great care of us at the conference. Last night, I also had a great time grabbing dinner with my councilor Anil Dhiri. Overall, it's been a great two weeks of Rotary events and meetings! 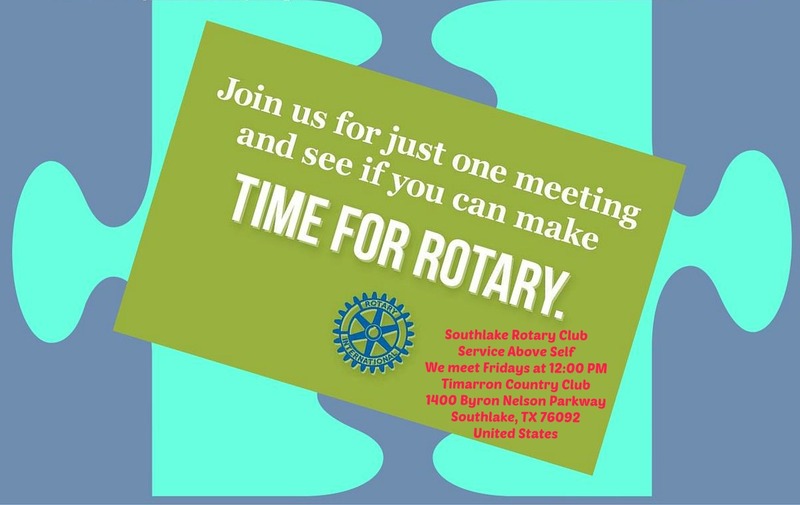 On a separate topic, would it be possible to visit the Southlake Rotary Club during Christmas break? I plan to be home from December 17th to 28th. I would love to come visit on the 21st or 28th if there are meetings! District Secretary Fergus Quinlivan and President John Kelly were so very welcoming! 240 Socks Delivered to Metroport Meals on Wheels, Inc.
Brad Engel: How To Host a Party for 125,000 of Your Closest Friends"
Scott Wicke: How to Host a Party for 125,000 of Your Closest Friends! 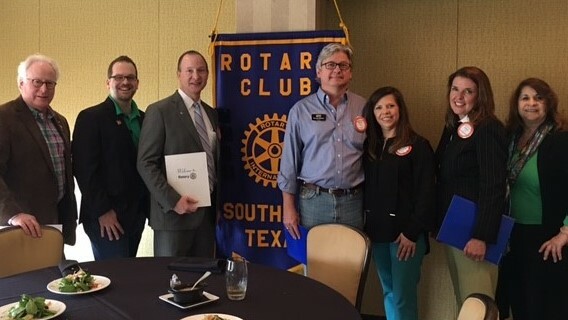 District Governor Gerald Robinson with Southlake Rotarian "People of Action"
OUR NEW VISION STATEMENT: Why Should You Care? We are now more than a year into the process of revisiting Rotary’s strategic plan, a process that will allow us to examine our strengths, weaknesses, opportunities, and threats in order to move the organization in a direction that will allow Rotary to thrive in the years ahead. Our new vision statement is the first lap in that three-year journey. You may have seen the vision statement and wondered what its relevance is to you. If Rotary were a ship approaching land, our new vision statement would be the lighthouse that keeps us from running aground. Our vision statement explains what we want to achieve, in the same way that our mission statement explains our focus, and our strategic plan represents how we are going to get there. Strategic planning is a process, not an event. And it is certainly not limited to activity conducted in the board room. Almost 30,000 Rotarians, Rotaractors, and alumni participated in the 2017 triennial strategic planning survey sent out last January. Our strategy office and our consultant partner, Grant Thornton, then conducted countless focus groups, in-depth interviews, and discussions with Rotarians, non-Rotarians, Rotary leaders, alumni, Rotaractors, and others to gather more insight. Over the course of all these sessions, more than one million individuals had an opportunity to provide input. Out of these focus groups, different elements emerged that were then tested around the world to be sure they were culturally appropriate to both a Rotarian and non-Rotarian audience. These elements became our 24-word vision statement. President-elect Barry Rassin did a masterful job of unpacking the vision statement to incoming district governors and other leaders at the 2018 International Assembly in January. More and more leaders and members are having a chance to see and hear the vision statement and think about how these words reflect the impact we wish to have on the world. Entering the second year of the process, we will begin to test “priority concepts” that will move Rotary toward our vision statement. These concepts are being tested in every part of the world through additional focus groups, to ensure these concepts resonate in all geographies, all languages, and all cultures. In the third year, the rubber will hit the road. Strategies and tactics will be created and approved, and districts and clubs will be asked to try them and give us feedback. Why is all this important? Let’s look at Amazon, a great example of the power of strategic planning. Amazon was the very first company to endorse free shipping. Amazon, researchers have noted, rose to power not by inventing a new product or service, but by analyzing the entire industry and making multiple moves into the future, much like a chess game. What would we like you to do? Share the vision statement with your fellow club members. Think about what it means to your club. And look for opportunities to give your input into our strategic planning process. Help us chart a course for taking action to create lasting change. Everything is going great here in Beijing! I have one more month of class to go and then I have my thesis defense. I should be all finished up with this part of the program by early July! With the end of the semester in sight, it's hard to believe how quickly time has flown by. At this point, I'm comfortably settled into life in Beijing. It's been a great experience making friends with people from all over the world. I've particularly enjoyed getting to know some of the Chinese students better this semester and getting the chance to be more involved with everything that is happening in Beijing. I was able to organize a clothing drive among international students earlier in the year to donate to a local charity. We were able to muster a few bags worth of winter clothes. Hopefully we can organize another one this summer as people are moving out. I've also really enjoyed my classes so far this semester. I am currently taking courses on China and the Global Economy, China's Foreign Policy, East Asia and International Relations, and a Mandarin Chinese course. Given the US-China relationship right now, it is a very fascinating time to be in China and hearing Chinese opinions on everything going on. In addition, I've was able to get in contact with the London Rotary Club and joined in on one of their meetings in March! It was very cool to join a video chat with so many people from all over the world. I am excited to have been scheduled in for a presentation to them on June 21st! 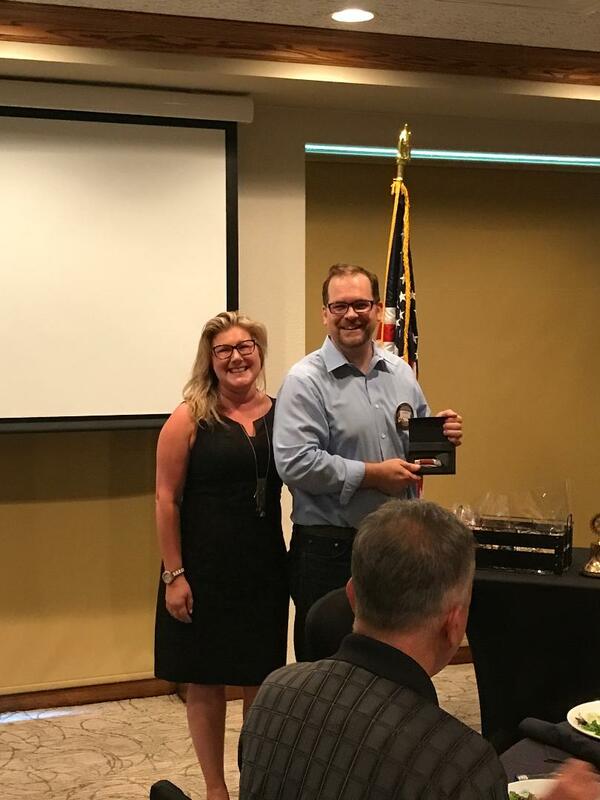 Please extend my thanks and greetings to everyone at the Southlake Rotary Club! This has been an amazing experience so far and I look forward to seeing everyone again in person when I get back home to Texas. 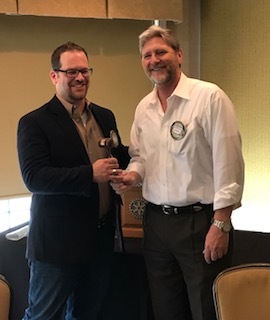 Russell Maryland (3x Super Bowl winner with our Dallas Cowboys – among many other accolades) regaled our club with humorous and encouraging stories from his football life, stories whose lessons transcend football. Thanks again, Russell. How ‘bout that Cowboy! 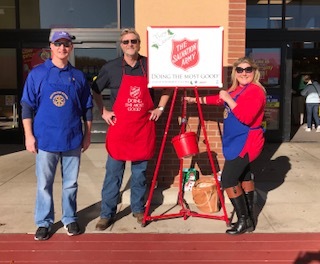 Our annual stint ringing the bell for the Salvation Army was both fun and successful. So many generous folks around town. Thank you and Merry Christmas! 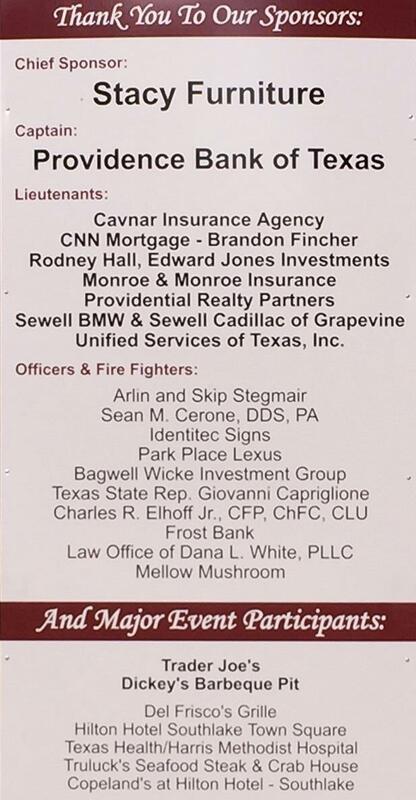 Thanks to our many generous sponsors and volunteers, Rotary’s 13th Annual DPS Appreciation Event was a huge success. 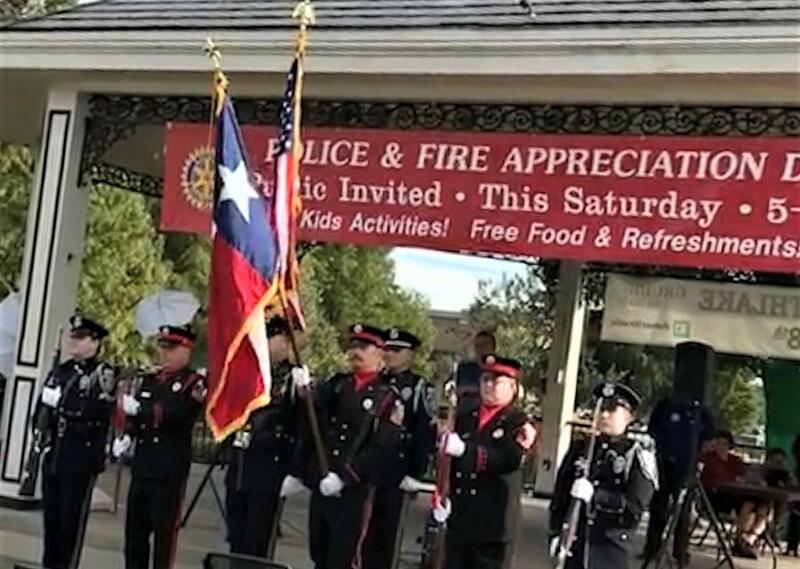 Saturday October 30th, in Southlake Town Square, hundreds of people had fun, while honoring our public servants in the Department of Public Safety. 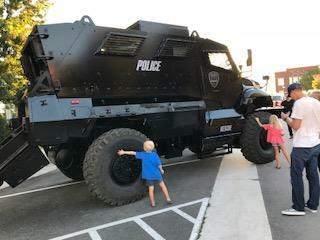 We joined forces with the City of Southlake to present the DPS Appreciation event in conjunction with National Night Out and Fire Prevention Safety at Southlake Town Square. We awarded $6,000 in scholarships to four children of DPS employees (for a total of $59,000 over last 11 years). 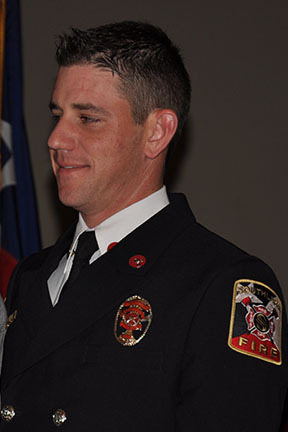 Southlake Firefighter/Paramedic, Jay Nunnally, was recognized as the Officer of the Year and received a gift basket filled with gifts and certificates donated by numerous local merchants. More than 400 people ate free burgers, BBQ, hot dogs, and sandwiches. 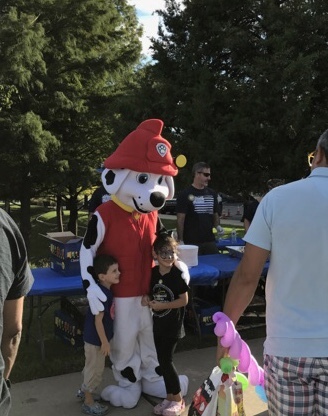 In addition, there were various family-friendly activities, including a balloon artist, face painter, petting zoo, police and fire vehicles and personnel, as well as safety give-aways. Thank you to everyone who made the Blood Drive a success. Carter Blood Care collected 14 units (which can be used to help save 42 lives) and arranged for more donations. 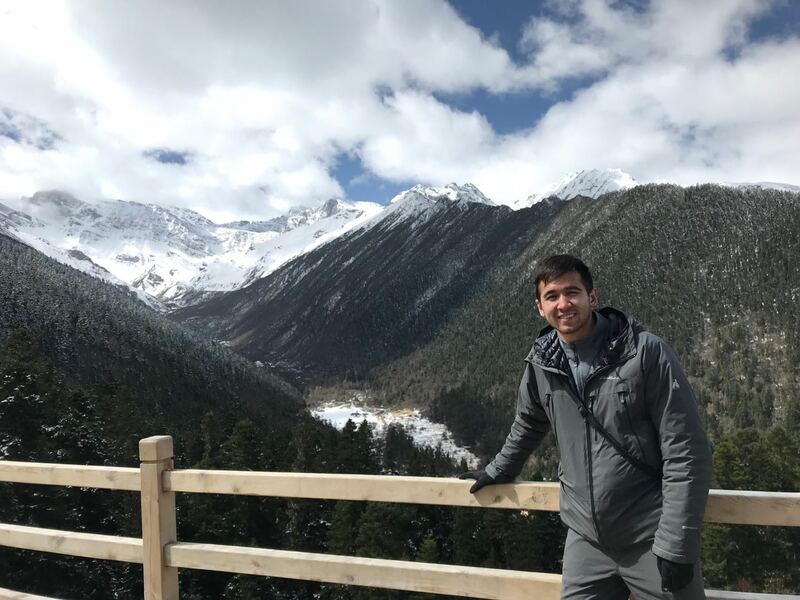 Danny Vegel (SL Rotary Sponsored Global Scholar) reported on his recent visit to the Beijing Rotary club, emailing that “It was great to meet people from all over the world with a desire to serve others.” Vegal has been busy with orientation and his classes, which recently began. 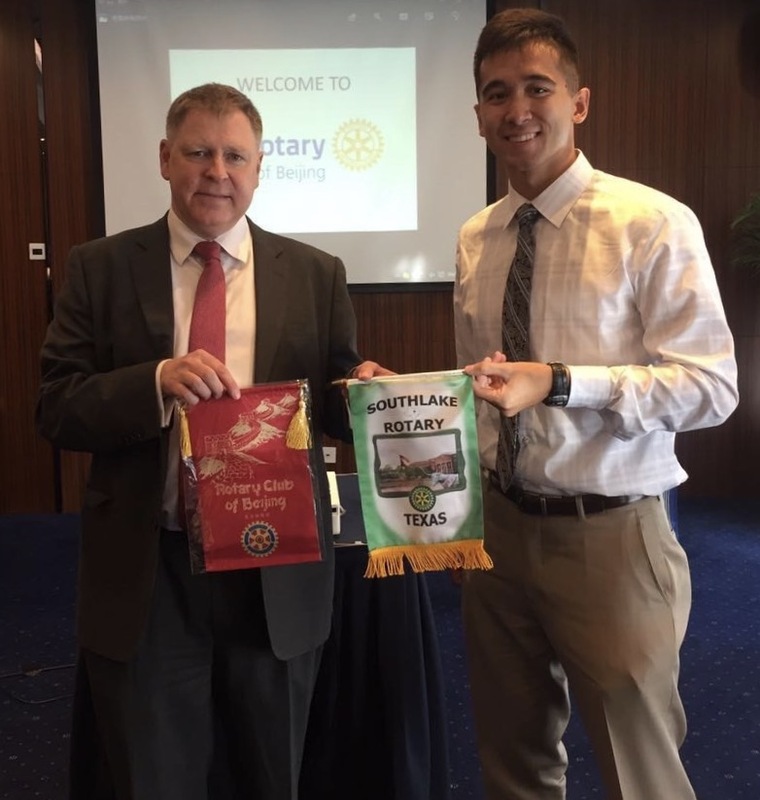 Beijing Rotary Club president, Russell Brown OBE and Southlake Rotary Global Scholar, Danny Vegel, exchange rotary banners. 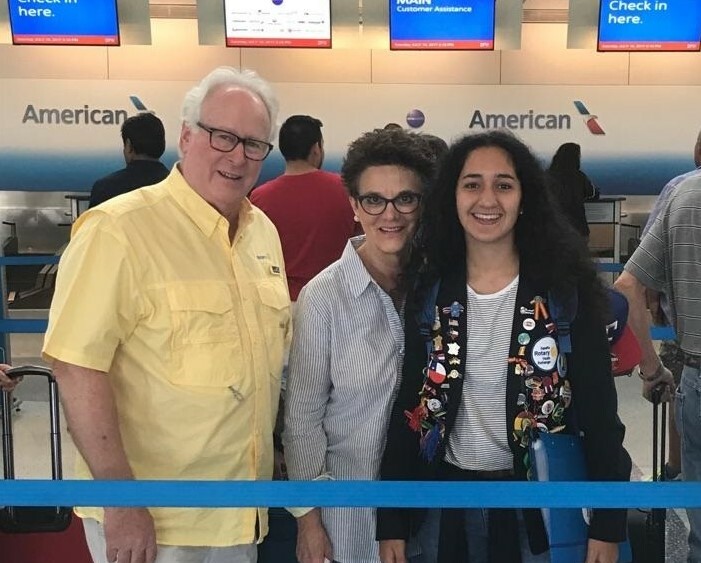 Rotary Youth Exchange builds peace one young person at a time. Students learn a new language, discover another culture, and truly become global citizens. 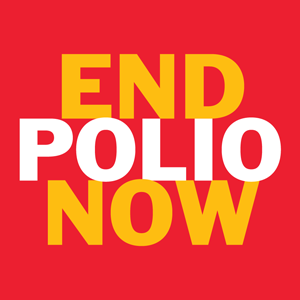 Exchanges for students 15 to 19 years old are sponsored by Rotary clubs in more than 100 countries. Last week we bid adieu to Elena Morata, our exchange student, before she returned to her home in Spain. This week we will welcome back Rod Hall’s daughter, Emily, who very recently completed a ten-month immersion in Sardinia, Italy. Long-term exchanges last a full academic year, and students attend local schools and live with multiple host families. Short-term exchanges last from several days to three months and are often structured as camps, tours, or homestays that take place when school is not in session. Changing of the guard: Out-going President Marshall Ryan hands the gavel to Brandon Fincher. Board members John Pichler, Sue Brown, and Arlin Gold. Thank you all for your service to our club! Rotary Global Grant Scholarship recipient Danny Vegel at his graduation and commissioning ceremony in Annapolis on May 26, 2017. 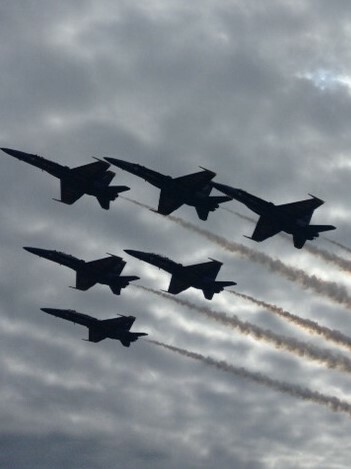 The Blue Angels flyover started off the program. 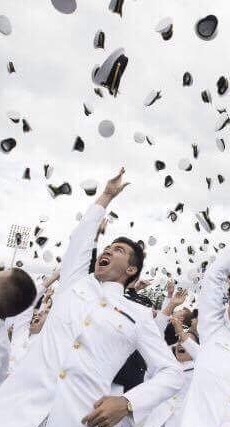 Thank you, Danny and classmates, for your service to our country. 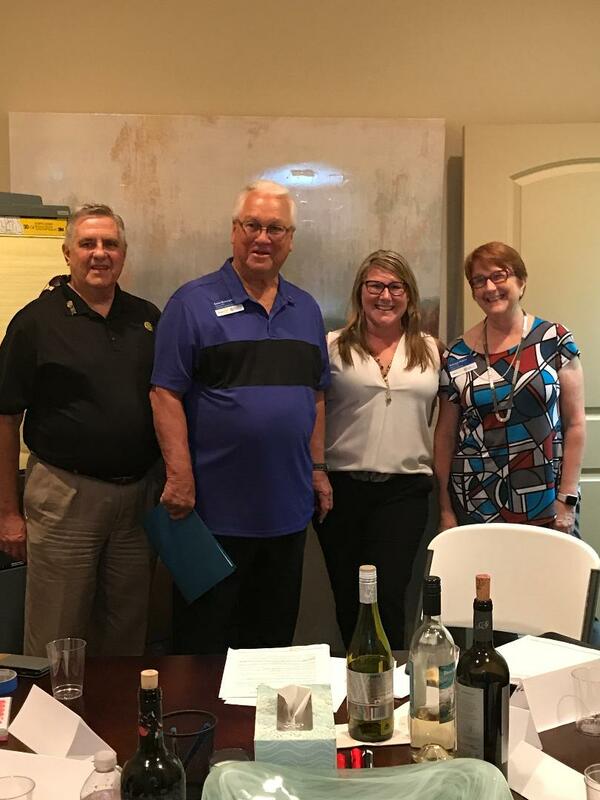 We are excited to announce that we inducted seven new members on March 17th: Brad Cavnar (insurance), Chris Monroe (insurance), Dana White (lawyer), Kristina Guzman (residential real estate), Russell Wilkens (realtor), Scott Wicke (financial advisor), and Tonya Cybuski (insurance).